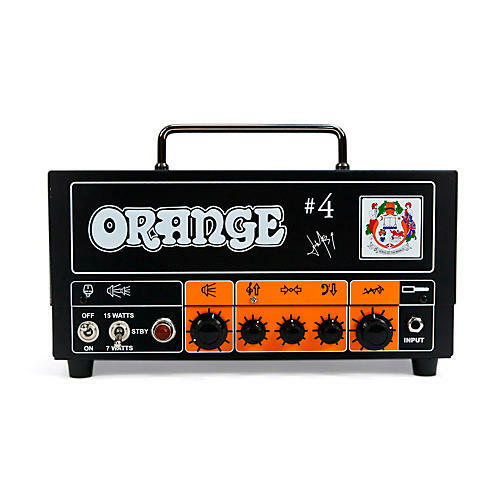 The Orange Signature #4 Jim Root Terror Head is modeled after the Dirty Channel on the same amp that Jim Root plays in the studio and on the road, the Orange Rockerverb 100. This all-tube, 15W amp is capable of far more than high gain rock and metal though. With a full 3-band EQ players will find it easy to dial in everything from vintage rock to blues and beyond. The addition of a tube-driven FX loop allows the user to take the tone in any direction they want.